Earlier this week I was talking with a fellow business owner about growth, and the difference between those companies that are able to consistently execute against plan to achieve objectives, and those that are always jumping for growth but never really seem to go anywhere. In the conversation I started talking about a construct I had put together more than five years ago, called The 7 Levels of a Growth Organization. I shared the model and some of the tools we created to support it, and he almost immediately replied, "Doug, why aren't you still talking about this and sharing it." Realizing I had no real answer to his question, I decided to share it today. I'll also be writing more about it in the future again as well. The model highlights the path to what I call a Demand Creation Monopoly, where customers value you so much that competition becomes irrelevant. 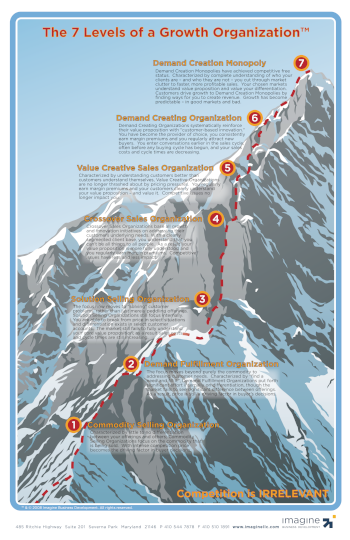 It highlights the stages you have to pass through, give you some insights into the actions you need to take to drive greater results on your sales growth journey. Click the read more link to see the full sized graphic. 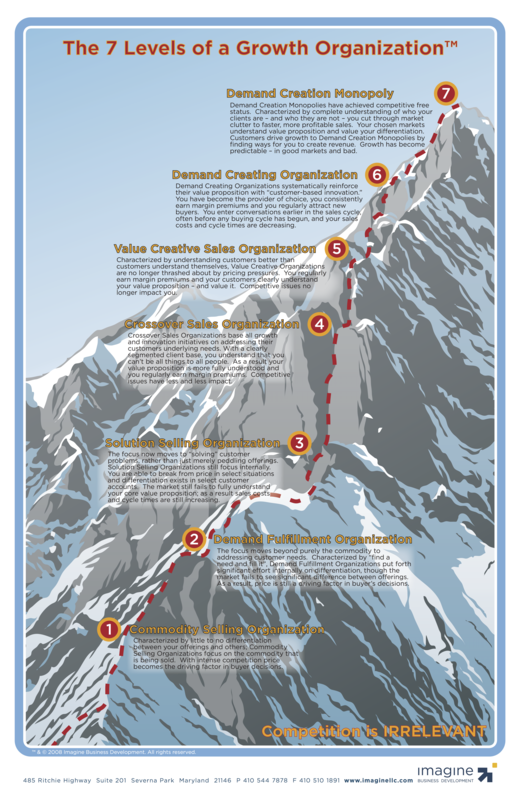 If you find this infographic valuable, you'd probably like our eBook on the process to become a Demand Creation Monopoly as well. You can get it here.